The jury is still out on the curved smartphone trend. Is it a gimmick or of practical use? 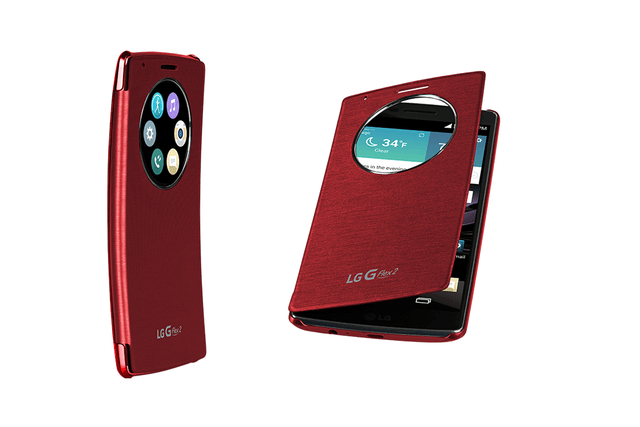 LG’s thinking here goes beyond the aesthetic to encompass durability. The G Flex 2 is a tough smartphone that can take some serious abuse. The LG team has repeatedly demonstrated how rugged it is by throwing it on the floor and even stepping on it. Then there’s the self-healing coating on the back, which takes ten seconds to gently fade scratches. You may wonder if you need a case at all. 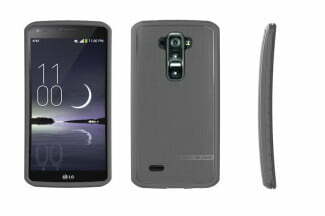 Although the curve is attractive and eye-catching, this is a glossy plastic phone. You may prefer to tweak the style to suit your own tastes. Cases can also add grip, or extras like a kickstand, and even tough devices like this can end up with cracks and permanent scratches. 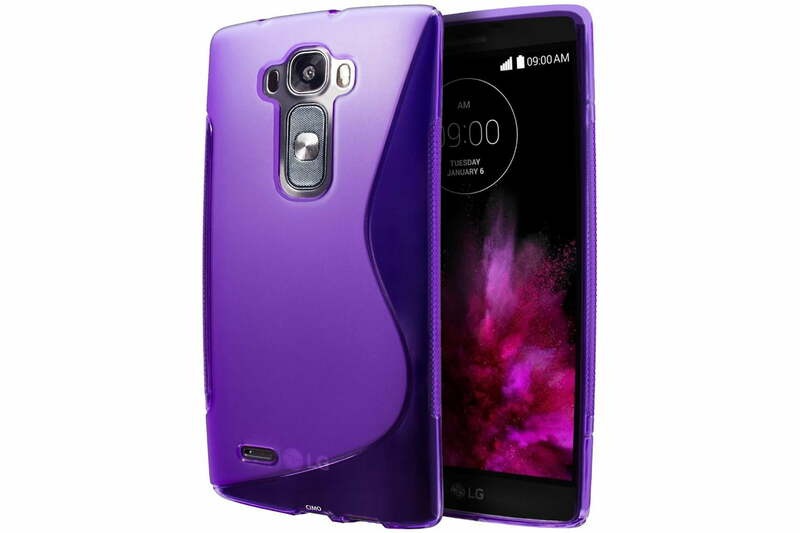 Let’s take a look at some of the best LG G Flex 2 cases. Updated on 4-8-2015 by Simon Hill: Added cases by BodyGlove, Trident, PDair, Cimo, and Aero. 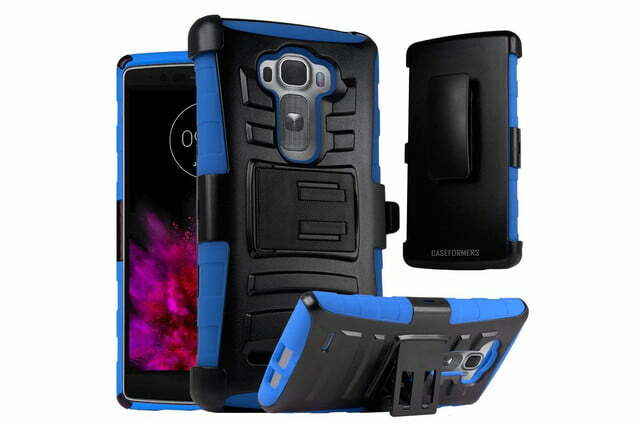 This case is shock absorbent, and since it’s flexible it’s easy to fit. The brushed aluminum style on the back looks classy and it’s framed by the glossy highlights. The cut-outs are generous for easy access to your controls, ports, and to make sure nothing gets in the way of your photography. 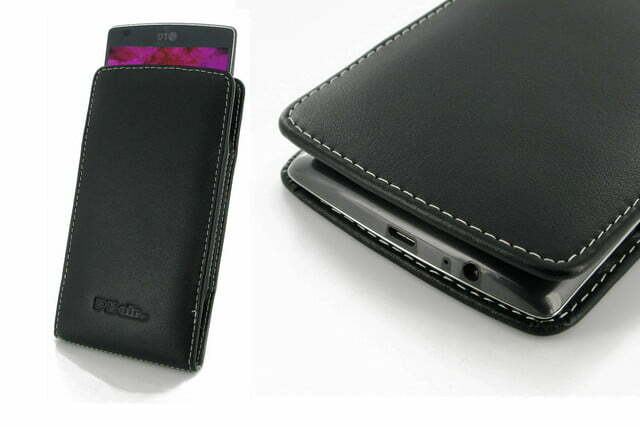 It’s a fairly slim case and you’ll find it does add some grip on the edges. You can pick from charcoal or black. 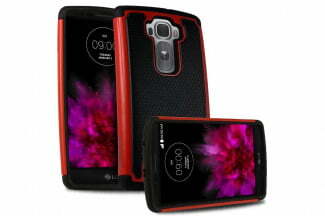 There is also antimicrobial protection which prevents the case from playing host to bacteria. 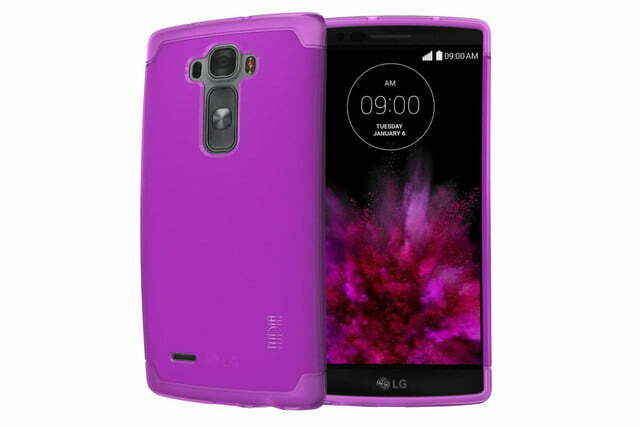 If you’re looking for some tough protection then this could be the LG G Flex 2 case for you. 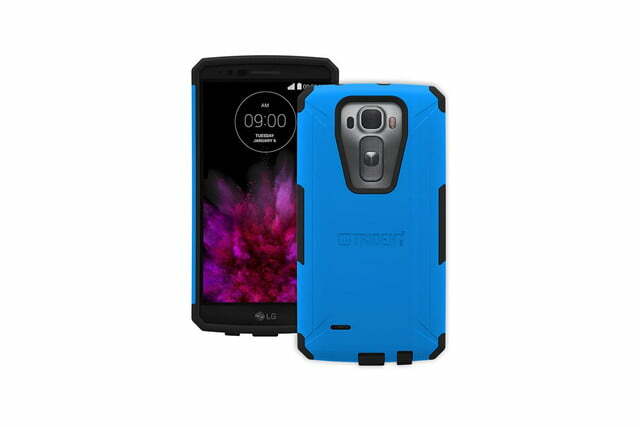 It combines a shock absorbent TPE layer with a tough polycarbonate shell and meets military drop standards (810F). It adds grip, it has plugs to keep your ports clean, and the cut-outs are accurate. There’s also a lanyard loop, and it comes with a screen protector. It’s only available in blue with a black inner layer. It does add some bulk, but it’s a good choice if you need something rugged. 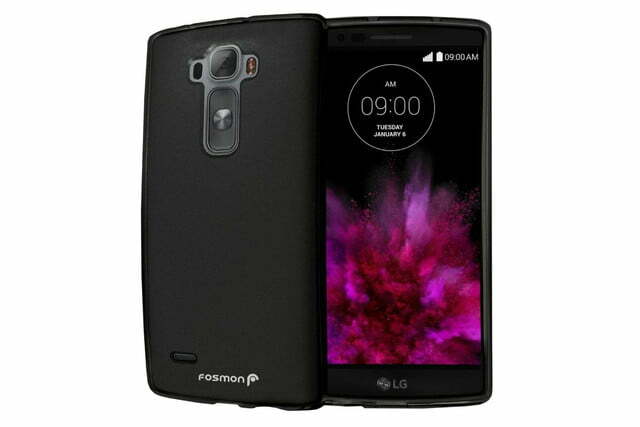 Here’s a simple, real leather pouch for your LG G Flex 2. It’s a vertical pouch that’s easy to slide your phone in and out of. If you slide it in top down then you have access to your ports on the bottom edge. The classic black variety comes with a choice of different colored stitching. You can also opt for a few different colors of leather. The only real detail beyond the stitching is the small PDair logo stamped on the front. If you tend to put your phone in a bag then this is a great option. You can’t expect too much at this kind of price, but Cimo’s case has a kind of wave pattern, which makes it stand out of the standard TPU crowd a little. It’s pretty slim and it adds some grip with textured sides. All the openings you need for access to the ports, camera, and speaker are there. 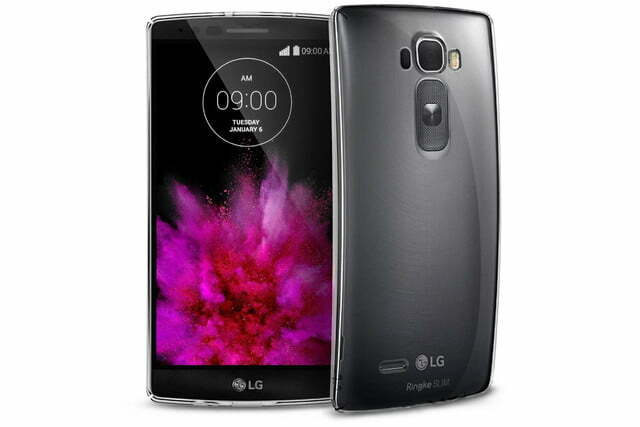 It’s slightly translucent, so you can see the LG logo and the design shining through. It comes in three different two-tone color combinations. This is a fairly tough combination case that has a soft silicone inner layer with reinforced corners and a hard shell that goes on the back. There’s a good cut-out for the controls and camera, and openings for the speaker and ports. There’s also a textured back plate on top of the hard shell, which is colored in red, white, purple, orange, pink, green, blue, or black. It’s a bit bulky, but it will provide basic protection from bumps and drops.